Instaforex review - Scam? Mobile? Demo account? Read more. checkmark3 Specialises in forex trading checkmark3 Regulated broker. Offers a free demo. Welcome to our InstaForex Review, in this article we are going to do an inspection of the popular forex broker. 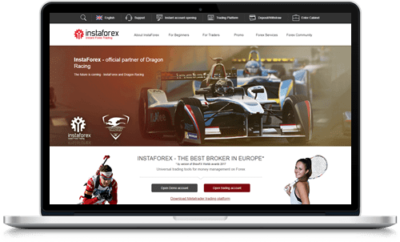 InstaForex, also known as InstaGroup, proudly calls themselves the best forex broker in Europe and we are willing to agree with that statement. In fact, with over 100 unique forex pairs available for trading, Instaforex boasts an impressive selection that few can compete with. 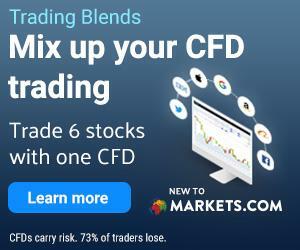 Combine that with a sleek trading platform, other CFD trading opportunities, and an overall good reputation, and you have one solid forex broker. Like all of our recommended brokers, InstaForex is regulated with a trading license from CySEC, meaning they are 100% safe to use. MT4 and MT5 trading platforms. Ole Einar Bjorndalen is the brand ambassador. Focused on Forex but also offers a small number of stocks and commodities. Our InstaForex review has shown us that this is one of the best forex brokers in the UK Market. If you are interested in trading forex only, then this might be the broker for you. Their overall selection is not that great and if you want to trade anything other than Forex you are better off with another trading platform. Before we start getting into details about this broker we want to make sure that you understand that InstaForex is not a scam. This broker is a legitimate forex broker and CFD broker that you can use to invest in some of the most popular currency pairs on the market. As always, we have made sure to research the internet looking for bad reviews and other complaints about Instaforex, and customers are very keen to share their positive experiences with the broker. All in all, we are confident that this is one of the leading brokers right now, which is why we recommend InstaForex to our readers. InstaForex is regulated by CySEC under license number 266/15. We belive that every trader should look at different alternatives and different platforms, in order to take an educated decision about where to trade. Here you can read reviews about other brokers listed on our website. As the name entails, Instaforex’s main focus is on forex and currency trading. Today they offer more than 100 currency pairs to their clients. Additionally, they are known to add more options to the selection when they see the interest in certain currencies increase. If you’re interested in trading currency Instaforex is a great option for you but there is more to this broker than that. At the time of writing, Instaforex offers four cryptocurrencies. You can trade CFDs on Bitcoin, Ethereum, Litecoin, and Ripple using Instaforex. As we mentioned, Instaforex likes to add new instruments to their selection and you can expect to see more cryptocurrencies added in the future. In addition to forex and cryptocurrencies, Instaforex also offers access to 100 of the most popular stocks from the American exchanges. You can, for example, invest in Google, Disney, Facebook, and many more when you have a trading account with Instaforex. Commodities are another smaller selection of instruments offered by Instaforex. Today you can invest in copper, gold, sugar, lumber, and a handful of other lucrative commodities with Instaforex. The last group of assets that Instaforex offers contains a few smaller markets. You see, Instaforex has decided to provide access to the world’s leading indices and futures in the form of CFDs. That means you can invest in commodity futures and stock indices using your Instaforex trading account. Many of the world’s leading brokers have collaborations with MetaTrader and their platforms, and for good reason. MetaTrader provides some of the best trading platforms in the world in terms of desktop, web, and mobile trading. If you’ve read other reviews that we’ve written, you are probably already aware of who much we like the MetaTrader products. If you open a trading account with Instaforex you will get access to MetaTrader 4 & 5. They are two of the most solid platforms that have ever been developed and they are the number one choice of a large group of traders. The MetaTrader 4 was the first platform they developed and it offers great analytic capabilities and investment opportunities. A few years later, MetaTrader 5 was launched as a compliment to the 4 and it offers features and tools that the MetaTrader 4 doesn’t have. Together the two platforms provide all the investment features you need to invest in forex and other markets. In order to use the MetaTrader 4 & 5, you must download the software to a computer. Sometimes you might end up in situations where you don’t want to download software because you’re sharing the computer or you’re in a public space. In those situations, you can use the WebTrader online tool to handle your investments. In our opinion, the WebTrader is the leading online trading application for forex and CFD trading today, and it is an absolute pleasure to use. With the WebTrader you get access to all of Instaforex’s instruments and features, and you can invest in a safe online environment. MetaTrader offers two trading apps, one for Android devices and one for Apple devices. Both apps are state of the art and extremely easy to use. You can download them from the Instaforex website or from the app stores. We have used both of the MetaTrader mobile apps and really enjoy them their clean design and practical features. Instaforex has two trading accounts, one trading account used to trade with using real money and one Instaforex demo account. This account setup is more or less standard in today’s market and it’s really all you need. A demo account is great for beginners who have never traded before and traders that want to give MetaTrader’s tools a try before signing up to Instaforex. The real trading account is for anyone looking to invest his or her own money in the available instruments. If you spend a lot of money and trade often, there might be certain perks that you can enjoy, the best way to find out about is to contact Instaforex’s customer service. Creating an account with Instaforex is as easy as it gets. Visit Instaforex.com, find a sign-up button, follow the simple instructions, and you’re ready to get started. Instaforex customers have several options to choose between when depositing and withdrawing funds. Note that you are normally required to withdraw money to the account used to deposit the original funds. Compared to many other brokers, Instaforex has a good selection of effective contact methods. For instance, you can request a call back from the customer support team, call them directly from your own phone, or email them. However, we think their live chat is the easiest option by far. By clicking on “Support” in the top menu and then “Chat,” you instantly get connected to a person that can help answer your questions. Additionally, Instaforex can be contacted at their many offices around the world, and you’re able to leave them feedback directly on their website. It takes a lot for us to even consider recommending a forex broker on our website and we have requirements that are stricter than most other similar services. That being said, Instaforex excels on all the areas that we look for and to us, there is no doubt that InstaForex provides one of the best forex trading products on the market today. It is, of course, a big bonus that you can use their platform to trade other instruments as well and we love that they have already introduced cryptocurrencies to their selection. All in all, Instaforex is a great broker for most of your investment needs and if you are interested in trying them out, we suggest you start an account today.